He finally proposed? Congratulations! We bet you hear the wedding march in your head already. You probably catch yourself humming it unwittingly while twirling around the room breathing in the infinite happiness that awaits you after the wedding. You’re lucky. For many women, this is the moment they’ve been longing for since childhood. Every little girl dreams about the prince with the castle and the white horse influenced by the fairy tales she used to listen to before going to bed. Books create a magical world which sometimes we try to recreate in real life. That’s exactly the case with Wedding Flowers Deliveryweddings. And since women are usually the dreamers in the family, the wedding day is a huge event. It’s their chance to feel like stars, at least for a day. Commonly, women are the ones that deal with the preparations around the wedding because they have a vision for it and want everything to go perfectly just as they have dreamed of. That’s why they prefer to organise everything themselves. The wedding dress takes a central place because everyone will be looking at the bride in her special moment. So, that should be taken care of with priority. Tons of flowers and balloons will be needed for the decoration of the event. That’s where Flower Shops can finally play its part in your wedding. What’s a wedding without those two things? They make an occasion festive and beautiful. Small flower decorations can be put on every table to brighten the atmosphere a little. If they are in a pastel hue, they’ll look very delicate and can add elegance. The best thing about flowers is that they come in all possible colours you can imagine. Nature did its utmost to give us all Her variety. And because of it you can easily choose flowers that match the theme colour of your wedding. It’s popular to have your Wedding Flowers in some kind of a tint of your choice. Our company provides flowers in any shade of any colour, and you can rest assured that our flower delivery service is always fit to your requirements, such as time of delivery and specific type of flowers. Your order will arrive looking stunning, and you can be sure that the flowers won’t be affected Wedding Flowers with candlesby the weather conditions and will last through the whole wedding day and even a long time after that. 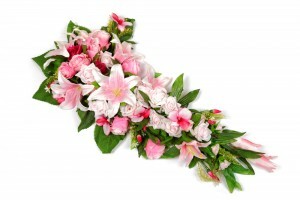 We can secure every detail involved with Wedding Flowers. As far as flowers for a wedding go, you’ll be safe if you pick us. We understand that your wedding day is one of the events that will be remembered for a lifetime, and that’s why you should remember it as something marvelous. We don’t want little things that went wrong to stay in your mind, and we prevent them from happening even before we discover a problem. There’s always a plan B with us so you won’t have anything to worry about other than your I Do’s. If you have a certain budget that you have to stick to, it would be a great idea to use seasonal flowers to decorate the place where the wedding will be celebrated. Since you’ll need a lot of flowers for the decoration, money-wise it will be more advantageous to use Wedding Flowers that are in season. It doesn’t mean that you can’t spoil yourself with your favourite flowers if your budget allows. After all, it’s your big day, and you’re allowed to indulge yourself. Last but not least comes the bride’s bouquet. We believe that it doesn’t have to overwhelm the wedding dress but should highlight its beauty. 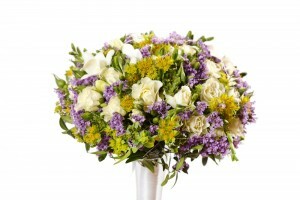 Whatever bouquet you can think of, we can arrange it. You just have to make one simple call on ‎020 3900 2440.